The babies are all growing well and have plenty of fluid to continue growing—they have slowed down but still measure above average. My cervix of course hasn’t budged-still long and closed! 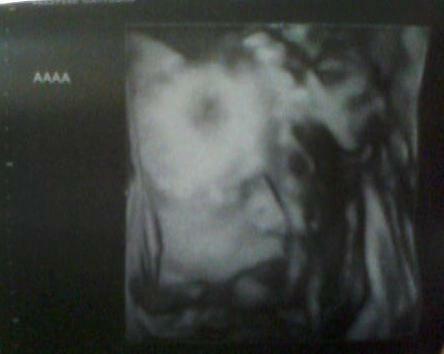 Giovanni: 3 lbs. 2 oz. Brooklynn: 2 lbs. 11 oz. Jade: 2 lbs. 4 oz. Kensley: 2 lbs. 9 oz. Leighton: 2 lbs. 10 oz. We have not set a date yet for delievery however expect it to be in about 3 weeks. I go back next week for a quick check up to monitor the babies' heart rates and fluid as well as check my cervix. Our goal is still to reach 30 weeks. Even though I don't want to spend several more weeks in the hospital the benefits it will have on the health of the babies will be worth it! All our lives we make sacrifices for our children and this will be just one of the many! I will also have to get another round of steroids once the date for delivery is set…not looking forward to that at all but again its what is best for them. My iron measured to be low today as well-something I've always dealt with even before being pregnant but worse now that they are growing so big. In order to supply my body and babies with an adequate amount of iron I will have to be given a supplement intravenously for the next three days on top of taking my iron pills. These next two weeks are going to be the hardest yet! I have to keep my eyes on small weekly milestones and hopefully delivery will be here before I know it! To no surprise Giovanni is the only baby we were able to get a clear picture of today!